Your job as sub commander is to destroy as many enemy warships as you can. 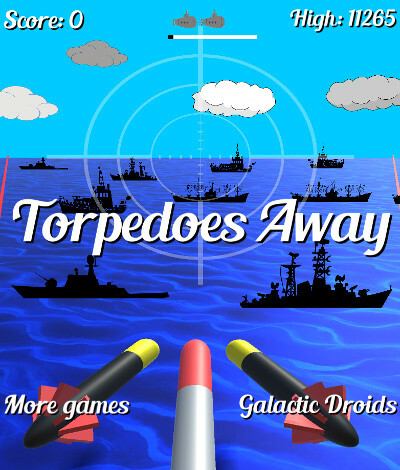 You have an unlimited supply or torpedoes, however the enemy forces are vast so try and make each shot count. The enemy war ships also have torpedoes, if they fire a torpedo at you and its on target then your only chance is to shoot it head on. 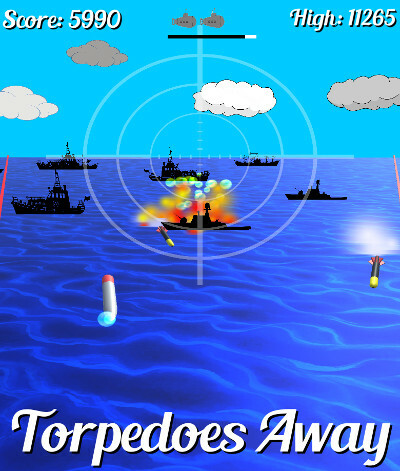 Shoot enemy torpedoes which are going to hit you, ignore torpedoes that are off target. 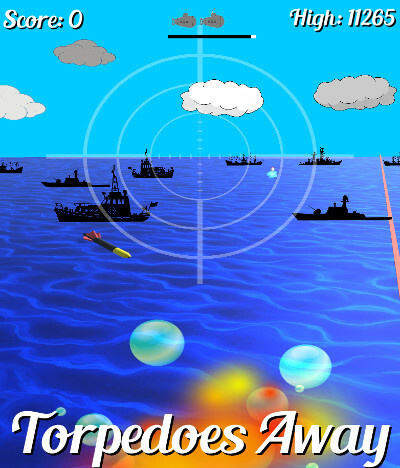 Destroy enemy ships as they enter the demilitarised zone (DMZ), so they don't have time to fire. Pick off closer ships first since their torpedoes reach you faster. Watch out for ships firing as they come into the DMZ, keep an eye on both sides. Listen for enemy ships launching torpedoes. Target fast moving torpedoes early. And most importantly, remember you are in a submarine, they don't move fast so your only chance of survival is to blast incoming torpedoes.